Combines the X4 shock-mitigating seat mount pedestal with a bucket seat for a ready-to-install, fully functional suspension seating solution for helm or passenger seating. 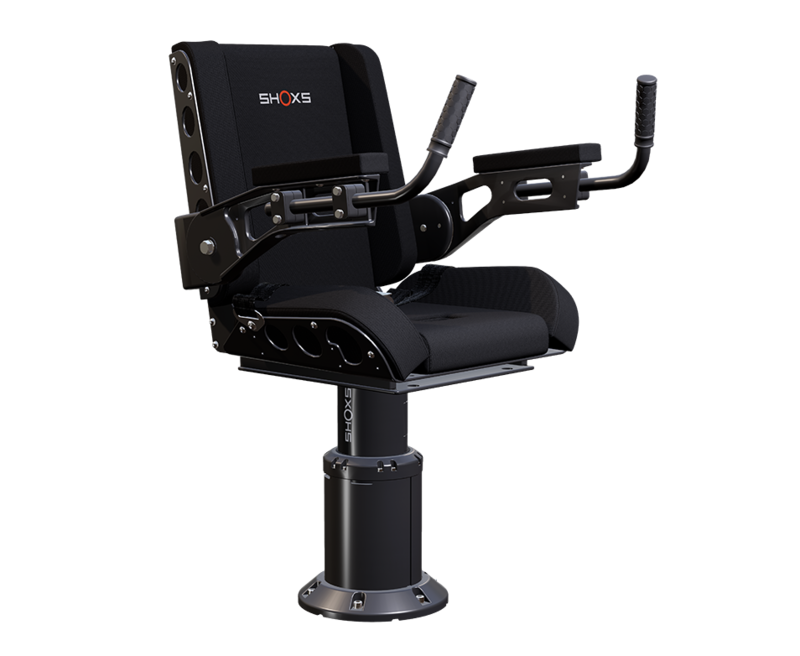 The 3200 X4 is a combination of the latest in shock mitigating pedestal technology and a bullet proof (practically) bucket seat. 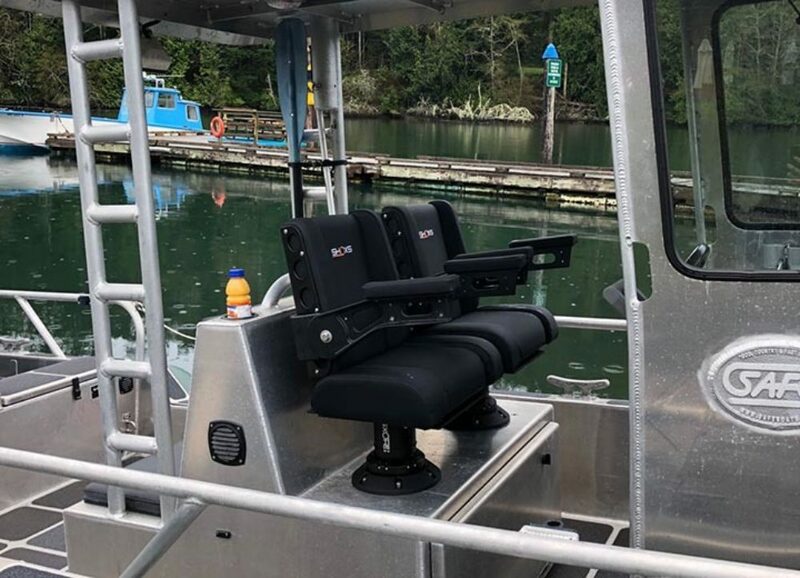 Optional functionality add ons like sliders, swivels and height adjustment make this seat a fully functional, shock-absorbing helm or passenger seat on just about any boat. The 3200 X4 has 4.4 inches (112 mm) of shock mitigating travel that can be adjusted for each occupant's weight. 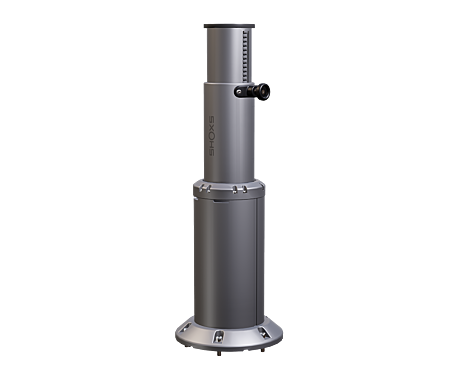 The X4 pedestal can be flush mounted inside a box, mounted directly to the deck or anywhere in between thanks to an adjustable mounting flange. The 3200 X4 ride height is set on installation. If a taller ride height is required, the 3200 X8 will get you to the ride height you need. Contact SHOXS or an authorized dealer for more information.